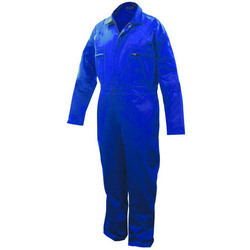 We hold proficiency in manufacturing and supplying premium array of Official Uniforms & Safety Products in the industry. We are indulged in offering a wide range of quality products that is used in the official front. 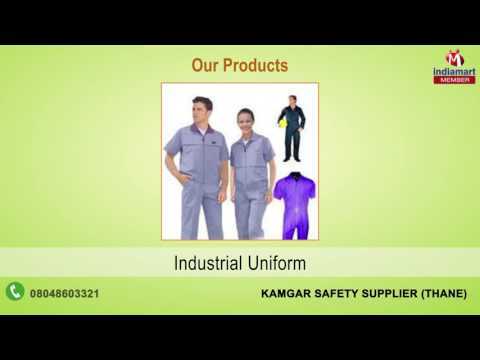 We, Kamgar Safety Supplier, established in the year 1963 known for manufacturing and supplying premium assortment of Official Uniforms & Safety Products at cost effective rates. In addition to, we do offer Official Uniforms, Hotel Uniforms in varied sizes & lengths. We have complete understanding of customer's needs & demands; this is the reason why we offer our clients with the premium most varieties of official uniforms and safety products like gloves, shoes, boots, eye & ear wear and many more things. The offered range is made by using quality fabrics and fitted well to everyone in a proper way. Further, the fabrication of these clothing ranges happened at our high-tech production base where we have managed all the advanced machinery & tools. 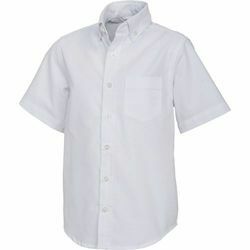 We have made promise to our clients to offer them the best array of uniforms in myriad of options. Owing to our commitment, our skilled and experienced team maintains high quality standards right from its sourcing till delivery. In addition to this, the offered range is checked stringently to ensure its compliance with the international quality norms and standards. Thereafter, these are precisely packed with the help of latest packing tools and techniques, so that client receives defect-free orders. Located at Thane (Maharashtra, India), we have a wide spread infrastructure, which is well-equipped with modern machinery and tools required for manufacturing Official Uniforms & Safety Products. We have segregated our infrastructure into various segments like manufacturing, quality testing, packaging, warehouse and research & development units, with an aim to carry out all the business endeavors in a streamlined manner. All these units are taken care by requisite experts, who periodically update their units in order to maintain swift production rate. Healthy working environment is very necessary for an organization, lacking in which can lead to loss, keeping this in mind, we leave no stone unturned to maintain the same. 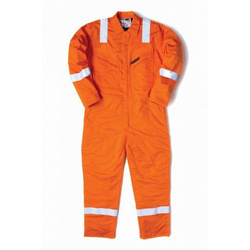 Our Official Uniforms & Safety Products are designed keeping in mind their extensive usage in several industries for the purpose of providing safety from heat, fire and load. These products are manufactured at our highly sophisticated infrastructure, which is installed with modern machinery and ultra modern technology, keeping in mind the rules to be followed set by international authorities so as to maintain the quality of the products. Further, offered products are stringently tested at our modern testing unit by our quality inspectors.